Greetings Hungarian citizens! 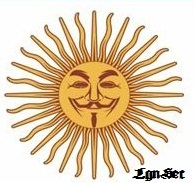 We are Anonymous, we are many, we are legion. People of Hungary! Now we have a message to you! Your government tragically failed you! You need to defend your country, your future and your children’s future right now. You the citizens own this country, not politicians, bankers or corporations. You need to take your power back! People should not be afraid of their government, government should be afraid of their people! Politicians don’t care about you and your well-being! People of Hungary you need to resist and defend yourselves from a government that brutally attacks your basic rights, your freedom of speech, your jurisdiction, your workers’ rights, your freedom of assembly, your dignity. Your long history shows that you have been innocent victims of a secret political theatre of power, greed and corruption for too long! It’s time to say: enough! It’s time to stand up and fight! The time of the dictators is over for ever in the world, and you also need to send a clear message to your government! There can be no dictatorship and oppression in Europe and the world any more! 2012 will be a crucial year of your history as well as of the human civilization. You have to be very active and do everything what you can do for your own life and for your own future. Do not wait for some player of the game will do your part. No one can save you, but yourself. You are the 99%. You are powerful. Only the people united are capable of significant and meaningful change! You were prisoners of an illusion, it’s time to wake up! No one from outside will do a revolution instead of you or without you. Do not trust IMF or the European Union will help you forgetting their interest. You are part of the global movement for freedom. You are fighting the same struggle with many other brothers and sisters worldwide. This fight is against your own corrupt and greedy political elite, but the same time against the international banksters of Wall Street, Goldman Sachs and their puppets sitting on top of the EU. The IMF, the European Union and the richest 1% of the financial elite have a master plan, an agenda and it is not in favor of ordinary Hungarian people, but in favor of bankers, investors and multinational corporations. They will give you credit as they did it before, they will bailout your country, but this means you will have to pay this help back: you will need to privatize your schools, your hospitals, your prisons, your media, and they will increase your taxes, they will introduce austerity measures. End of the day you will find yourself seriously indebted and you will have to give up your sovereignty and your country will be a passive part of the New World Order, a One World Government of total control. Disregard their position of the political spectrum your elected leaders, members of the Parliament and political parties of both sides systematically screwed you, misled you, they have been lying to you! This is because you blindly trusted them and placed your every confidence in them, but they abused and corrupted most of you. They acted like organized criminals or a mafia and sold out your future. Your governments failed you for more than two decades. They enslaved you and you were only watching while these psychopaths have been robbed you and their only activity was to build up their symbolic, economic and political power. International bankers together with Hungarian bankers used the political elite to indebt the population and keep the majority of people in fear in order to create a new empire of the 1% and for the 1%. This system has no empathy: evict and foreclosure people from their own homes, imprison the homeless people, their police brutally arrest protestors, they manipulate the media, try to control the internet and they will have no mercy on you. One thing is clear now: your government does not represent your interests any more. They are building up an awful dictatorship and they bankrupted your whole country. Your government only talks about their fight against international financial elite, but they are ready to make a secret deal with the IMF and the European Union. They do whatever necessary to stay in power. You have no choice now, but join the global revolution for a better world together with citizens worldwide in the same situation. First of all you need to stop the wicked regime of your current government. You need to be united and organized. Switch off your TV, go out to the streets and occupy public spaces, talk to your neighbors, your friends, your colleagues, your relatives. You have much more in common, than what divides you. You are the silent majority and you are powerful. Organize people’s assemblies, and organize strikes, cooperate with the civil society and trade unions, protest and demonstrate this dark system of power. Deny your participation, do not support the banks, the banksters or the government, and ignore their brutality. The only danger of your fight that there is a racist hate group very strong and very dangerous in your country, you should be straight not to accept their hate speech and racism. Say NO to racial discrimination, nazi ideologies, hate, aggression and violence! Do not be afraid of change, of new and unknown ways, you have nothing to loose but your poverty, your debts and your slavery. People are awakening every corner of the planet. The world is changing before our very eyes, and it is up to us, and only us, to shape the world we live in. We are Anonymous! No one can stop us, only join us! We are invisible. We have no leaders, we have no orders, we have no bombs. We are an idea, and ideas are bulletproof. 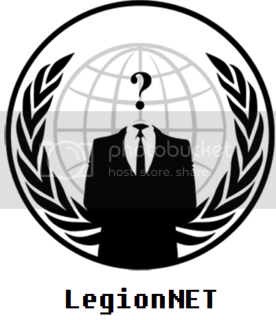 We are Anonymous and our global collective will support your fight in every possible ways. Tyranny is our enemy and we always will fight oppression, ignorance and hate! The revolution is at hand. You are the Revolution! Join us in this glorious revolution! Together we are winning!